Seasalts Carclew Top will keep you cool and comfortable all summer, an easy-to-wear striped top in a breathable cotton and linen jersey blend. Team with Seasalt's Albert Quay crops and Sun Terrace sandals and you're good to go this summer. 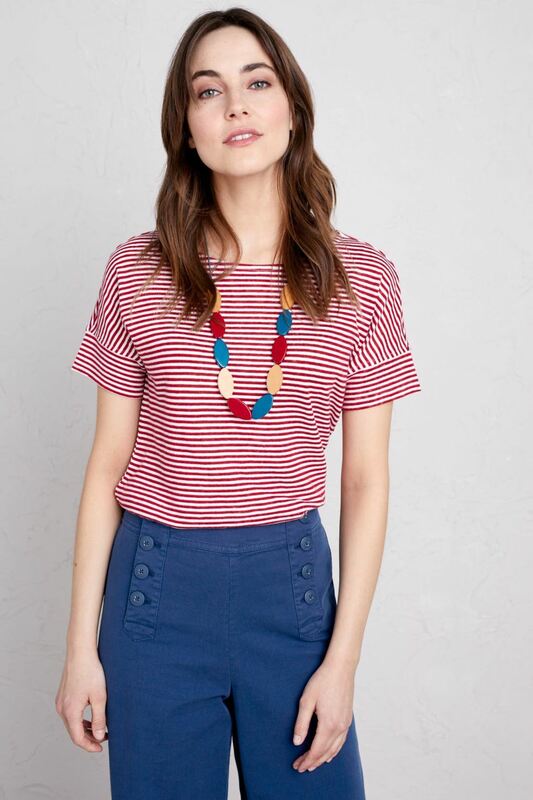 An easy-to-wear striped top in a breathable cotton and linen jersey blend. Seasalt's relaxed-fitting Carclew Top will keep you cool and comfortable all summer. It's finished with a flattering boat neck, short sleeves and a curved hem.